A Toys R Us Exclusive! So a blaster-toting raccoon, an angst-ridden teenage tree, and an Asgardian god walk into a galaxy… What, you were expecting a punchline? With the Marvel Legends Series, both kid and adult Marvel fans can start a legendary collection of comic- and movie-based Marvel characters. 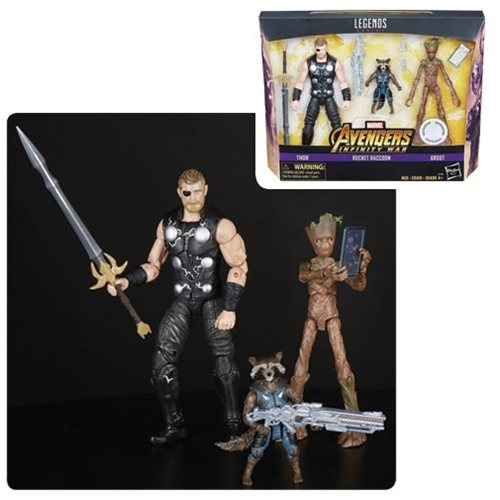 This 6-inch Marvel Legends Thor, Rocket Raccoon, and Groot 3-pack features 3 highly articulated figures with movie-inspired designs, making it another worthy addition to the Marvel Legends Series. Imagine Thor, the God of Thunder himself, joining forces with everyone's favorite space-hopping mercenary duo, Rocket and Groot, to guard the galaxy against the forces of evil! Create epic interplanetary adventures with these 6-inch scale figures from the Marvel Legends Series, where heroes and villains are more than super; they're legendary. 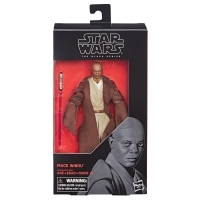 Includes 3 figures and 2 accessories. Ages 4 and up. Kundenbewertungen für "Avengers Infinity War Marvel Legends Thor, Rocket Raccoon, and Groot 6-Inch Action Figures - Toys R Us Exclusive"